The traditions of Camp Winton date back for decades. 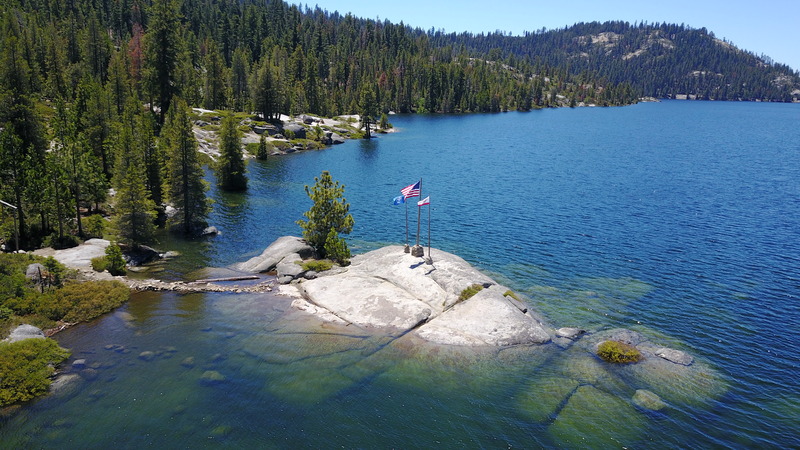 Situated on the Bear River Reservoir, Winton is home to every aquatic activity you can imagine: water skiing, sailing, rowing, canoeing, swimming and a whole lot more. Winton is secluded and only accessible by foot or the camp boat which transports your gear. Each unit has its own campsite, but must provide their own tents and camping gear. Scouts eat cafeteria style on picnic tables under whispering pines near the lake. Winton is known for its spectacular evening campfires and wonderful camp entertainment. For the high adventurers, overnight canoe treks are available. 2019 Resident Camp Unit Reservation Form. Eagle's Nest is now a full morning program designed to serve the needs of all of your up to First Class Scouts!! Eagle's Nest is our first-year Scout program and has been designed to give Scouts the greatest opportunity to learn basic Boy Scouting skills. The Scouts will work on Tenderfoot, Second Class, and First Class requirements. This program is run in the morning during the first three periods, and the Scouts will be able to choose up to three merit badges during the afternoon periods. Scoutmasters and other Troop leaders are encouraged to bring an Individual History Report for each youth attending Eagle's nest. This way our staff will be able to review and customize our program for the youth attending each week. Scouts will complete the physical fitness test (Tenderfoot 10a) during Tuesday's class session. Scouts who have completed this requirement at least 30 days prior to camp will complete the requirement 10b instead. Scouts enrolled in the Eagle's Nest class will have the opportunity to complete the Second Class requirement for the 5-mile hike on Friday afternoon. Scouts must report to the Lodge immediately following lunch on Friday and must bring suitable hiking shoes and a water bottle. Other Scouts and leaders are welcome to participate in this hike as well. Scoutmasters may opt for their Scouts not to participate in the hike. Please let the Eagle's Nest staff know in advance. Any Scouts who arrive after the group has already departed will be sent back to their campsite for supervision by their adult leaders. Do not schedule these Scouts for meal duty on Friday lunch. * Boy Scout Handbook *Water Bottle * Pen/Pencil * Paper * Compass * Personal First Aid Kit * Great Attitude!